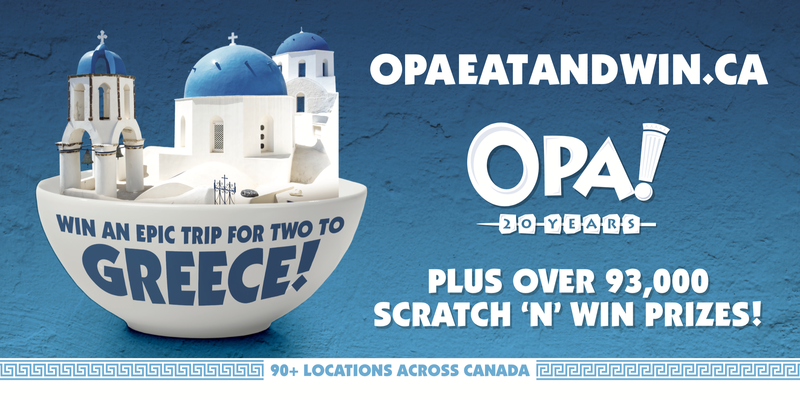 In celebration of our 20th Anniversary, we ran a contest on September 1, 2018 for a chance to win a trip for two to Greece. We received 100,000 entries over the coarse of two months for this epic 10-day trip to Athens, Santorini and Mykonos. This all expensed paid trip also includes five-star accommodation, all transfers between cities, a Greek cooking class and a tour of the famous Parthenon! 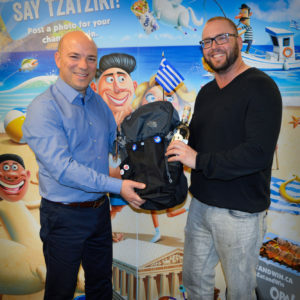 Together with Corus Radio and Omega Travel, we announced the winner of the grand prize. 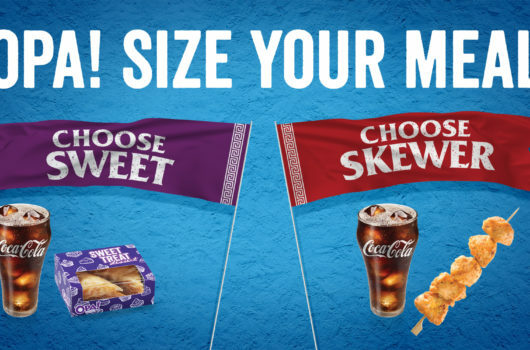 To listen to the announcement, hop over to our Facebook post (click here) for their reaction! Congratulations Jason Anderson! You’re going to Greece! Photo Above: Dorrie Karras (President and CEO) awarding the winner, Jason Anderson, his prize pack! Photo Above: Awarding the winner in Calgary, AB with Linda Hasapes (Omega Travel), Dorrie Karras (President, OPA! 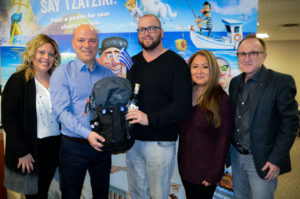 of Greece), Jay Anderson (winner), Nicolle Duque (winner’s travel partner) and Mike MacDonald (Director, Marketing for OPA! of Greece).